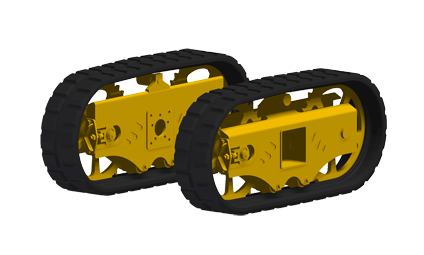 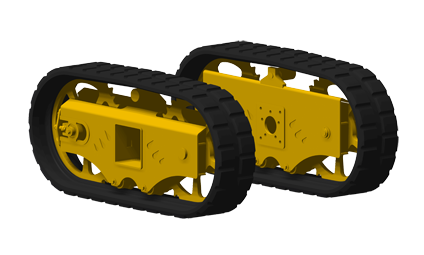 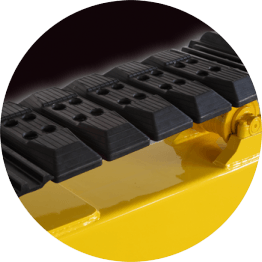 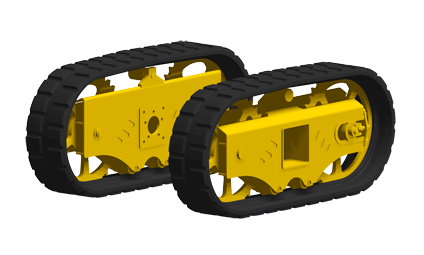 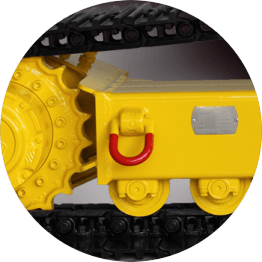 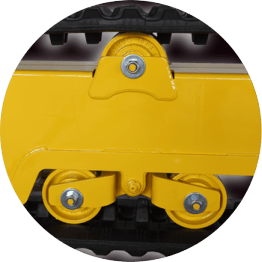 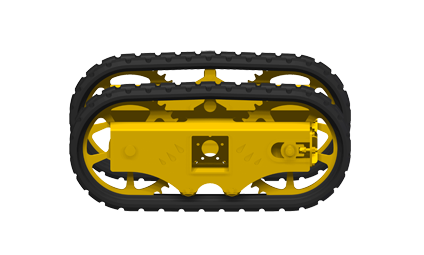 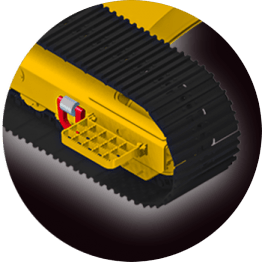  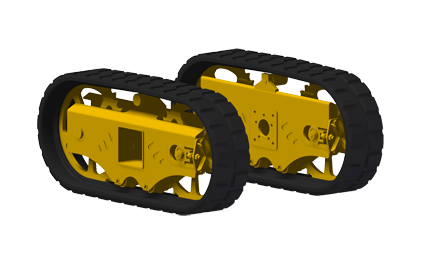 Tracked towable undercarriages are suitable for various situations, for example where ground compaction has to be avoided after the transit of a vehicle. 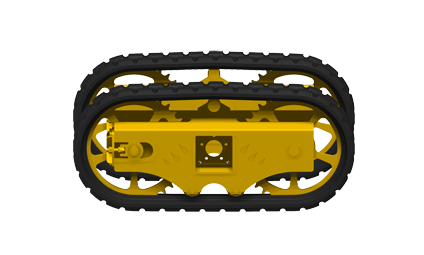 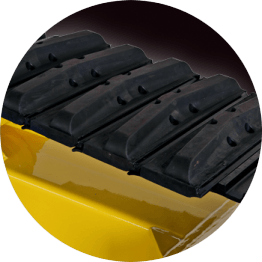 This version for non-motorized vehicles is useful to replace the wheels of a towable trailer with a rubber or steel tracked unit. 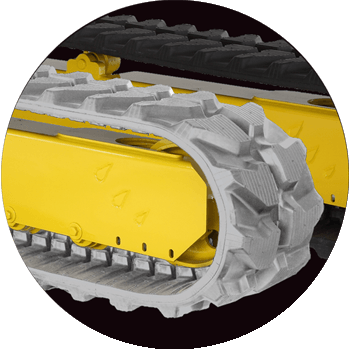 The towable undercarriages are built for the specific machine and customized to customer specification.